2017 has been a banner year for the “scale R/C” scene. With new models being introduced from Redcat Racing, HPI, Traxxas, and Carisma Scale Adventure, there are more rigs to choose from than ever before. Two of these options sit on opposite ends of the spectrum, both in price and features. Redcat Racing’s Everest GEN7 carries the budget-friendly, no-frills banner while the Traxxas TRX-4 brings features and creature comforts to the party (along with a premium price). I invited past guest, and TRX-4 owner, Mike George (Munster RC) to discuss the scale scene and specifically, these two trucks. It was a great discussion with quite a bit of mutual appreciation for what both brands are attempting to do with these first-time offerings. New Bright has gone brushless with their upcoming 1/10-scale stadium truck, the RC Frenzy. Dromida’s two FPV-equipped models have been released and I’ll be taking a closer look at the Rally Car option over at smallscalerc.com. Thinking about getting into R/C crawling and scalers? See what 1/10-scale rigs are available. Redcat Racing’s Everest GEN7 Sport – On the budget-friendly side of the R/C crawler scene. 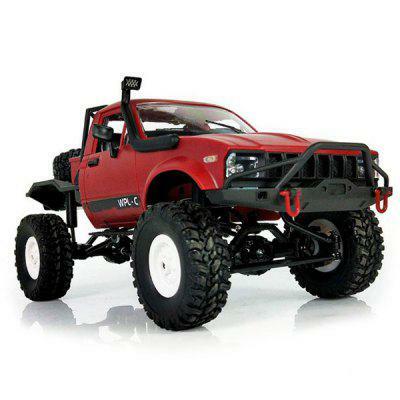 The Traxxas TRX-4 sits on the other end of the scaler spectrum, filled with features and at a premium price. PowerShift RC has some great scale accessories and lighting kits to help you trick out your R/C scale rig. Exclusive RC is working with Munster RC to create a tricked-out Traxxas TRX-4. Be sure to check out Munster RC’s Instagram feed for the latest.